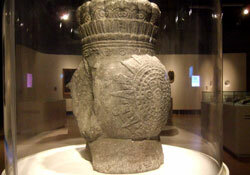 Aware that the heart’s symbolic power was central to Aztec culture, the curators gave the Aztecs centre stage in the exhibition, and borrowed a few iconic Aztec objects from museums on both sides of the Atlantic, including the British Museum, the National Anthropology Museum of Mexico City, and the Ethnologisches Museum in Berlin. 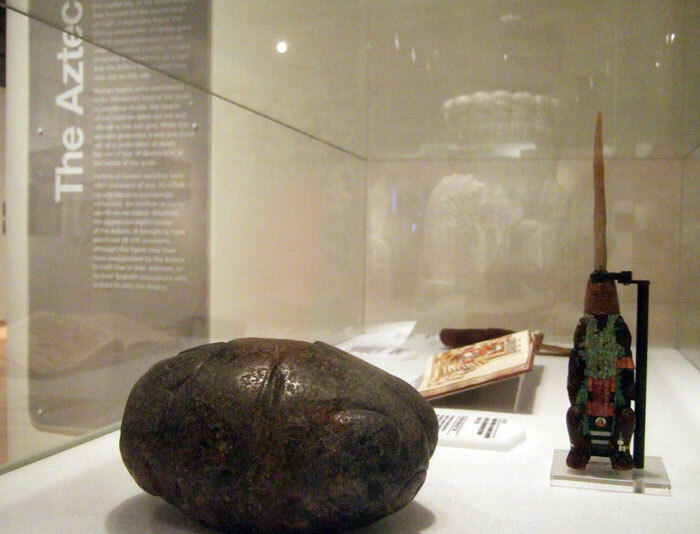 Thanks to the latter, visitors were treated to a close-up view of one of the very few surviving Aztec sacrificial knives where the original blade and wooden handle remain intact. 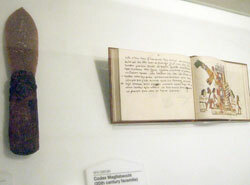 The British Museum loaned its unique wooden-and-mosaic-handle and chalcedony-blade Aztec knife, along with a large stone offering vessel or ‘cuauhxicalli’, with its decorative bands of feathers and hearts and representation of ‘4-Movement’ (the fifth and present world era). 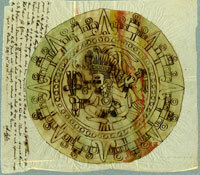 The majority of captive warriors taken in battle by the Aztecs met their end in ritual heart-extraction sacrifice (‘tlacamictiliztli’ in Náhuatl), in which the victim would be held by four priests face up over a large stone. 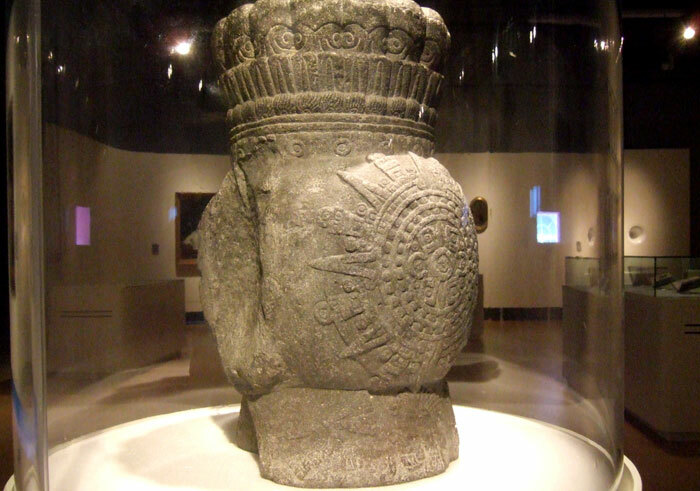 A fifth priest would open the chest cavity with an obsidian blade (tecpatl) and extract the heart, to be offered to the Sun (Tonatiuh) and then placed in a special offering vessel - the cuauhxicalli. From Mexico came the famous ‘Heart of Copil’ greenstone, a votive sculpture found near the Templo Mayor. 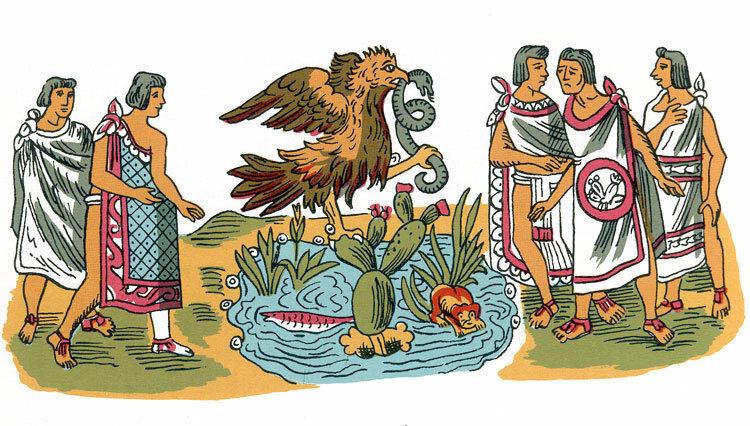 According to Aztec myth, their capital city Tenochtitlan was founded on the buried heart of Copil (son of Malinalxochitl, an evil sorceress, enemy of the Mexica people and sister of Huitzilopochtli), from which grew a large prickly pear cactus with an eagle perched on top - the basis for the Mexican national emblem. 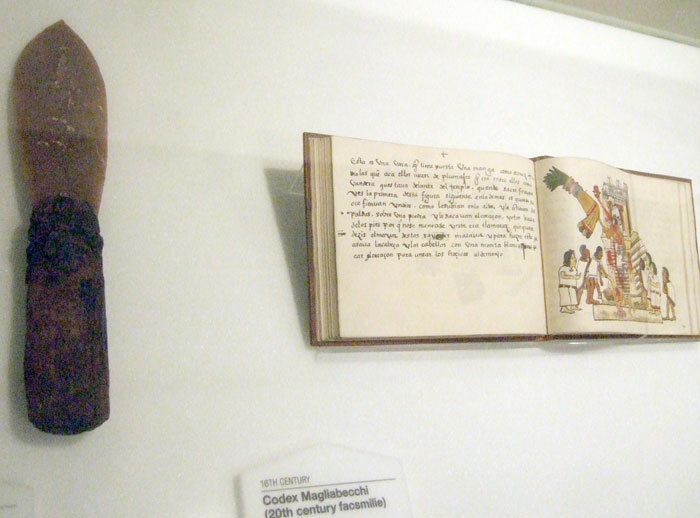 Copil, killed by the Mexica on orders from Huitzilopochtli, was symbolically if not literally the first victim of Aztec human sacrifice - his heart was thrown into the middle of Lake Texcoco. Lovely pieces. I have a piece that cannot be identified. 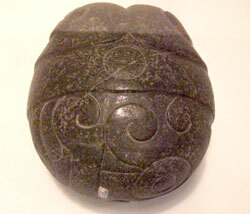 It is of golden sheen obsidian, could be a object or artifact. How do i go about finding out? Looks almost like peacock mask.